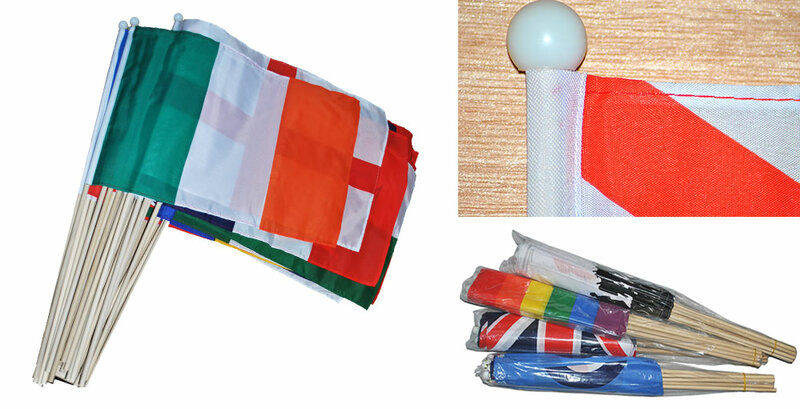 Home » All Hand Flags » Pride » 18"x12"
- 24" (60cm) wood poles, with plastic tips. - Sewn edges, for extra strength. - Supplied in packs of 12 pcs. - 12 pcs, packaged in a polybag. - Clearly labelled by design and size. - Barcode labels are available, if required. These wooden bases are for use with the 30 x 45 cm hand flags only. 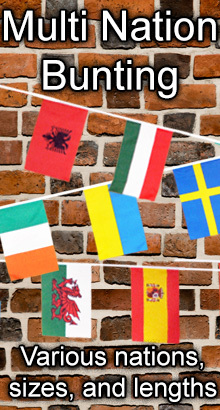 ..
100% polyester flags on wooden poles with plastic cap. 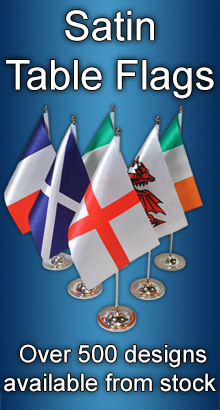 Screen printed in bold, c..
At The Flag Wholesaler, we stock over 1000 flag designs, totalling over 6000 products - All of which are available at extremely competitive wholesale prices. We pride ourselves on our incredibly fast and efficient service. Our unrivalled stock levels allow us to very quickly process and dispatch even the largest orders. Copyright © TheFlagWholesaler.co.uk 2019 All Rights Reserved.